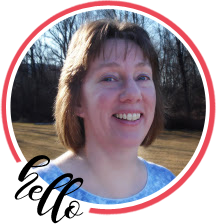 Welcome to the RRR December Blog Hop. If you arrived here from Cherry’s Blog, you are on the right track. 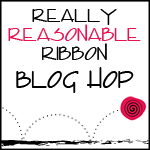 If not, why not head back to the RRR Blog and start from the beginning so you don’t miss any of the terrific projects. This month the Really Reasonable Ribbon Monthly Ribbon Club Assortment is a pretty mix of icy winter blue, white and silver. Isn’t it pretty??! and lots of ‘ribbony’ goodness from the December Ribbon Club assortment. I used a great digital sentiment from Create with TLC Digital Goodness and my background was embossed with an embossing folder from Darice. My loopy bow was made using my Bow-it-All Tool. Next I used two of this month’s ribbon styles to make an Easy Woven Headband. If you missed my Easy Woven Headband Tutorial, you can view it HERE. I then made a loopy bow using a third style and my Bow-it-All Tool. The center is embellished with a 20mm Mulberry Rose. You can view my Video Tutorial for Embellished Bows HERE. I added an Aligator Clip to my bow so it can be used on the headband or removed and worn separately. For use on the headband, just gently insert the clip into the weave at the location of your choice. Way back when I was young and energetic, I made special Christmas ornaments each year to give to family members as gifts. Lately I just can’t find the time (or enthusiasm). BUT, while looking for something else in my attic I cam across a big bag of jingle bells. (Don’t even ask how long they’ve been up there!!). I pulled them out and came up with this quick holiday ornament. Simply make a loopy bow with the ribbon of your choice (I used the White Delicate Stitched Satin from the December Ribbon Club assortment) and add a pretty flower or embellishment of your choice in the center and glue to the bell. I used the Rachel White Crochet lace from the December assortment as the ornament hanger. I really like how it turned out! Your next stop is Nicole’s fabulous blog. I absolutely love the ribbon flag concept along the edge of the card! The color combination was striking! Great presentation! LOOK AT YOUR BOWS!!! I need to invest in a Zutter! Beautiful card – may have to case it! Always love your headbands! Awww Bonnie, your card is absolutely Beautiful!!! Love the headband, and the ornaments too!!! Beautiful job!! Wonderful projects. What a great idea to dress up simple jingles bells. I'll have to try that. Thanks for the inspiration. wow!! love all ur projects.. Simply Gorgeous!! Love how you used ribbon on all of these wonderful projects. I love all the fluttery banners on your card…and all your gorgeous bows…but those jingle bells stole my heart! Oh my goodness….Absolutely gorgeous creations!!! !